Schenzi 400 kids GA extras, pokebox news. The Pokebox Order postage was paid today, even though some users haven't paid up yet I can't make the rest of you guys wait any longer. The Schenzi 400 Kid GA is now sorted into your lots! Nothing was missing apart from one Cyndaquil for spasjoltik. vaporeon99 I have stashed your Gardevoir for you. Extras! There are so many extras that will offer some today and some tomorrow so everyone gets a fair shot at getting some goodies. There are 18 pictures of extras, so don't fret! Please read the conditions on each picture for extras! There are freebies to be had from each band of photos. Priced extras are purely to try and pay for unpaid shipping on this and the stamper GA, and the prices include Paypal fee. If you do not want extras, let me know and I'll get you a postage quote. If you are waiting for pokebox items nd wish to ship together, please let me know. Please see newer post (19th Sept) for extras. I hope I've not been posting too much lately. I just have a Lot of stuff! I have some good images here this time at least. 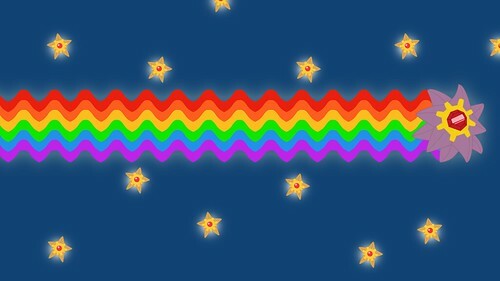 In searching posts here and the internet in general, I've found that there are not very many images of these, either that or I'm not using the right search terms, so I thought I'd make a post with images of mine, as well as ask if anyone can direct me to images of the ones I don't have. 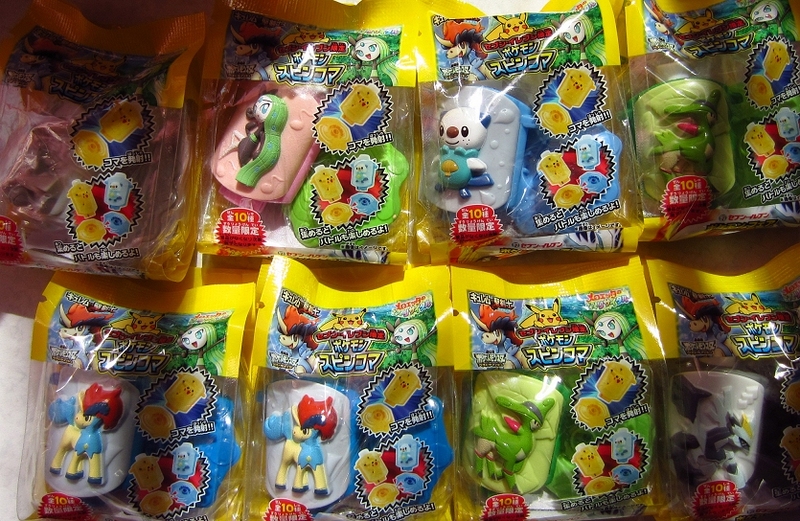 These came with the Hasbro packaged Tomy figures. I believe there is one for each of the first and second gen Pokemon, and maybe a few for the third gen? I'm not sure though. Litwick Lamp + Pikachu Kitchen Goods Preorders! Hello folks! Welcome to this edition of special pickups. First off is something that is actually regular pickups, but brand new and unnanounced: the FINAL THREE METAL CHARMS TO COMPLETE ALL METAL CHARMS!!! EDIT: aw crap i forgot about genosect...NEVERMIND. AND NOW! Special pickups for Pikachu Kitchen goods and Litwick Lamps. Most of these items will not be offered on Sunyshore, and will probably sell out quickly, so I recommend if you really want one to check it out! -Comment with your list to get in on the preorders! -I cannot provide shipping quotes for these items until they are in hand. Please only ask for heavy items if you are prepared to pay a potentially high shipping cost. -Payments by will due by this coming weekend. 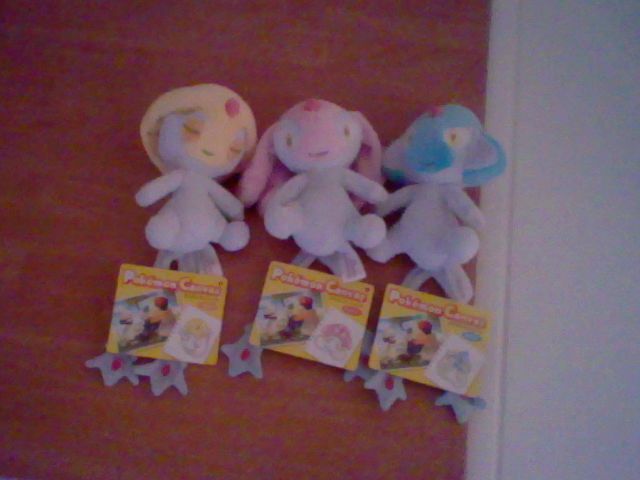 -I can indeed combine with your B/W Kyurem Pokedolls, but I cannot combine with the dot sprite charms coming up. These are large items and will need to be moved out quickly. Can't wait to move to a bigger place so I won't have to say this in winter! Finally, I've got these 711 drinkie things that were attached to drinks. You stick them on their base and they spin and go flying XD I would only be looking for about 6.50$ each, about 10$ shipped. Click for bigger! Time for a very short modpost! Twice now on this community, credit card companies have opened disputes on many sellers all at once, sometimes stealing hundreds of dollars back for shipped and delivered merchandise, without the buyers even realizing it until it was too late. This came months and months after any dispute limit had passed, shocking all involved. Despite initially thinking it was a scam on the part of the buyers, we now know how uncooperative both paypal and the CC companies are with these situations and I wanted to address it here as I am sure it will not end with these two incidents. -Contact me IMMEDIATELY. If possible, contact all of the sellers involved as well. STAY IN CONTACT. UPDATE ME AND YOUR SELLERS AT EVERY NEW DEVELOPMENT. -Contact your credit card company and paypal. Be prepared to sit for hours doing this. -Begin to prepare the funds to pay the sellers back. I say prepare the funds because the stolen money will probably not be immediately returned to you. It is quite literally, stolen, and exists in a limbo, as far as we know. -You will need to prepare to accept these responsibilities if you pay people with a credit card. To avoid it ever possibly occurring, do not pay with a credit card. -Try to remain calm, but be prepared to potentially not get your money back for a long time, if ever, depending on how cooperative the buyer is. -Do not begin to attack the buyer, or send threatening messages, or anything of the sort. They are probably innocent and we must assume innocence until proven guilty, and it will only hurt the process to vilify them. If the buyer is uncooperative, it will be another story. Either way, things will not begin to move quickly. -Call Paypal. Ask them your options. If you did not have tracking on the package, chances are they will be extremely uncooperative and not give you any options at all. -To avoid this ever occurring, automatically require tracking on any packages you send worth over a certain amount. This is only a suggestion, not a new rule or requirement. If you don't sell often or live in a country where the only tracking options are very costly, I would not worry too much about this. If you sell a large amount each month, consider the amount you are willing to risk and automatically get tracking on packages over that amount. Remember, this is a rare occurrence, that has only happened twice in our community's history (for the five people still affected by the first one, make sure you read this and check the status with dinictis), though I am not sure how often it happens outside of here. It can also be avoided, so if this gives you true anxiety, look into those avoidance methods to help! Please also remember if you are having very worrisome trouble with a buyer or seller, report it to a mod privately or on our Problems and Concerns reporting Post. If we feel a problem is becoming widespread, a community notice may be in order. This is why it is vital to contact buyers if you are having a shipping delay of sorts. Do keep in mind however, that mods have no power to get money returned. That is in your own hands, and it is why we stress keeping track of transactions and opening disputes when you feel it is taking too long, with or without a moderator's warning, notice, or approval. Naturally we will give advice if you ask. But it sometimes can take a few days for us to respond, so if you need to act fast, open the dispute! You can always close it later. Also, our Community Suggestion Box has been doing well! Check it out! Hey all, does anyone have this Misty keychain for sale? I believe it was released in a few batches of gen 1 keychains. 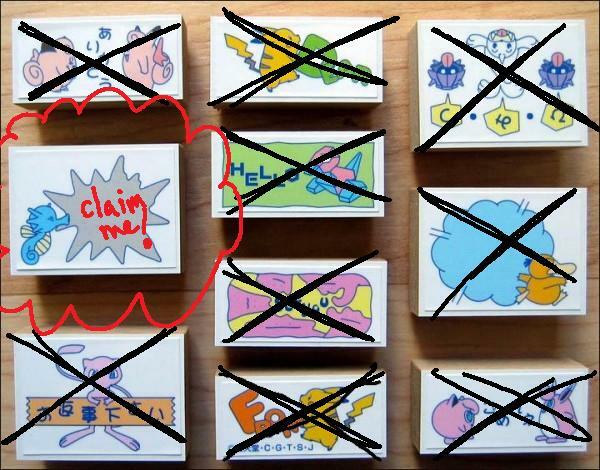 Stamp GA ends in about 17 hrs! 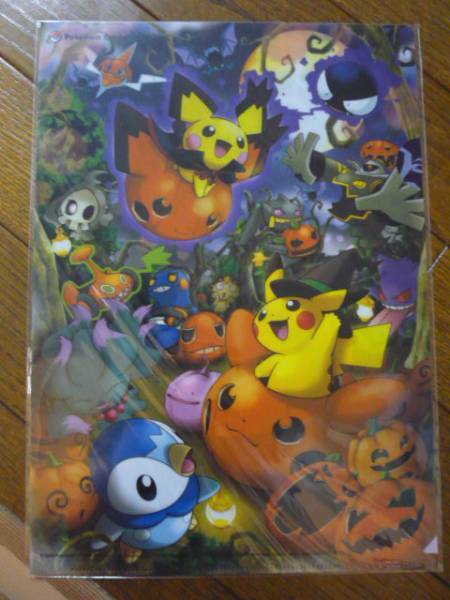 I am on a halloween kick right now, I'd love to own some official halloween merch, especially the pumpkin patch art (in clearfile, notebook, or bandana form)! And this is kind of a grail want, please let me know if you're willing to part with it, thanks! I believe there's also a sticker and pin with the art? I am down for any/all! I also wanted to share my new collection set up! Thanks for looking, hope everyone has a pleasant day! Not sure if these are supposed to be out yet, but yesterday I was at Wal-Mart and Target. I was surprised to find the Dragons Exalted tins. I bought Mewtwo and was tempted to get Rayquaza, but decided to just get one tin for now. Since I'm posting, I'll take the time to mention that I'm currently looking for Emolga, Servine, and Pansage cards from the McDonald's promotion this summer. I would prefer to trade. I have McD cards Purrloin, Oshawott, and possibly Sandile to trade. And...also a TON of other cards. lol. But, if no one would like to trade, I might be willing to buy. I'd like to spend only around $1 per card, though. Still willing to trade my Kyuren EX FA for Mew EX FA The person who wanted Kyurem originally hasn't responded since I messaged them a week ago. Hey guys! It's me again. Since some of you may know, I recently decided to collect Staryu and Starmie! And, new collection means wants, so if you guys could help me out and get me started collecting them, that'd be great! Hello everyone, I'm Orbit, almost 23 and I joined this community over a year ago although I never really properly introduced myself. I was only around for a short time after joining because my girlfriend (now fiancee) and I decided to move in together and other things took financial priority. Now though we are enjoying getting back into collecting together. I've been hooked on Pokemon since I was six when my dad got me a Gameboy and Pokemon Red for Christmas. I've always collected the cards, played the games, and I have about 90% of the first gen Tomy figures that I collected as a kid. Sapphire is my favorite game, my favorite types are steel and ghost and I love the Metagross line, Kyogre, the Feraligatr line, Amhparos, Grimer and various others. Right now I am mainly interested in collecting Beldum/Metang/Metagross items, Kyogre/Weather Trio items and anything with Steven Stone. It was shipped to me! :) Hooray! 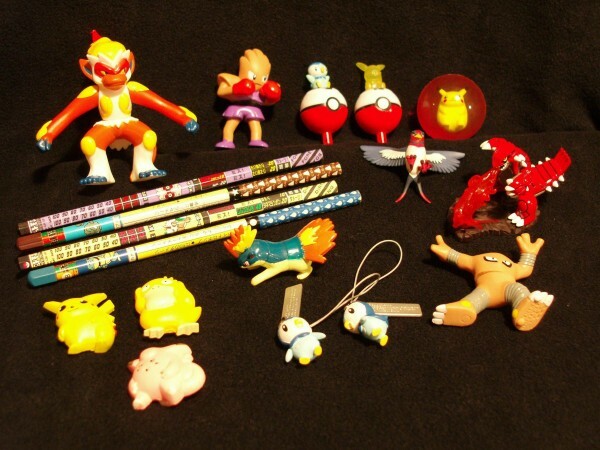 I still need the figure strap from Sapporo pokemon center. Can ANYONE help me out? :( I have not seen one in months! Has anyone started saving for the I <3 Eevee promotion? I am so ready. Bring it on Japan! I am looking for someone to make a custom Octillery plush for me. 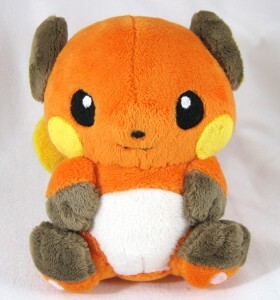 I really want him to be really well made from minky material, and be fairly large (DX Pokedoll size, or larger). I can pay an upfront fee, but I would like to see other work by you. Warning: I am very OCD and I would like him to look perfect. Pokedoll/chibi style or if it looks like the real thing, would be amazing. 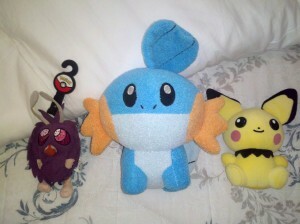 3 Rare Pokemon Plush up for offers! Well, its only a few weeks til October and that means craft shows and baking galore! 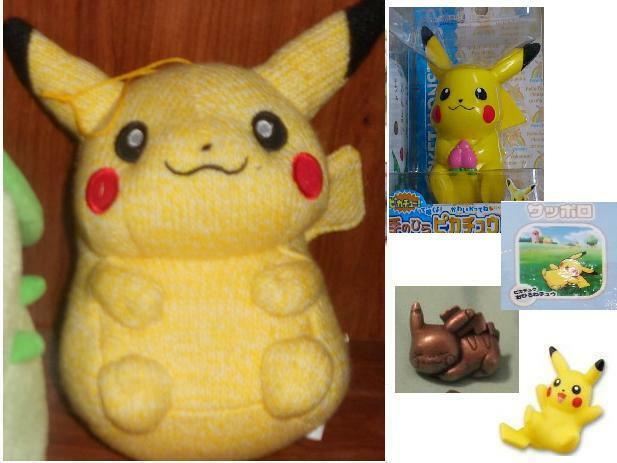 So recently i've discovered various pokedoll merch -cough- Pokedolltote -cough-. 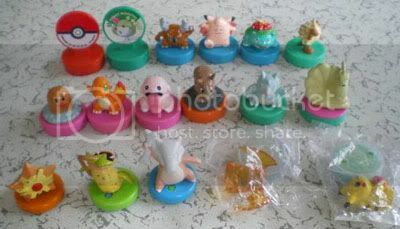 Im especially interested in..the tiny figures,stickers, and stuff in that nature,this isn't a want's post,just me being curious on how rare/costly these things are....Though if you happen to have anything pokedoll related for sale (besides the actual dolls) They MAY have to be stolen, so please feel free to shoot me some offers :3! Please note I only have 20-ish dollars I can spend right now, due to me getting a Lucario pokedoll (hopefully). I'm pretty new to this community (and livejounal still really, haha;;) but it was recommended to me by a cool dude on tumblr as a good way to help me expand my fledgling collection, so I thought there'd be no harm in popping along and seeing what it's like. I'm Laura, though Rara and Lawwa have also been used from time to time, and I am (you guessed it!) a pokemon fan. Pokémon and I have had our falling outs over the years, but I feel that we've finally come to a harmonic union with the release of B/W. My collection is kinda small right now, but I'm hoping to amass a reasonable amount of pokémon paraphernalia, or at least a lot of plushies, haha. Oh my, it actually hasn't been long since my last post(only a few days this time), but for this special occasion I'll just go ahead and do it.^^ Today I thoroughly inspected my collection and found something special I needed to weed, cause I got them as double. First of all, the formalities though! - Hang-tags are present and in perfect shape but detached. Please keep that in mind! With that off my mind, onto the actual fun! I've been having the worst luck finding this charm and I'm hoping that someone here can help me out! I'm looking for this charm $12 - $17 shipped. I've looked on ebay, amazon, and noppin to no success.